Men have no problem expressing their opinions on what we as women do with our hair. Problem is I don't remember if we ever ask them for their opinions. 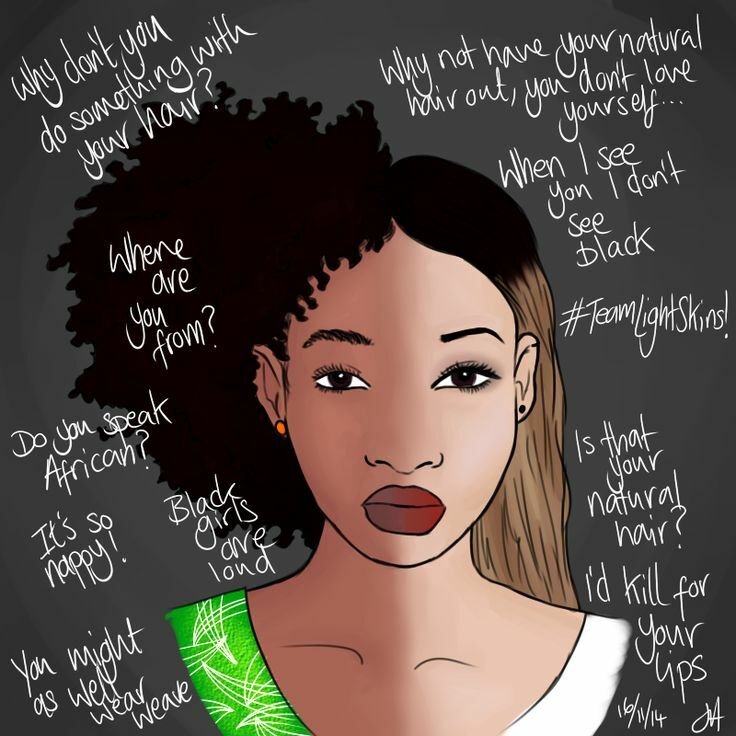 Fathers, brothers, boyfriends and guy friends alike are guilty of giving harsh and usually unwanted opinions on what we choose to do with our hair, with OUR CROWNS. Should a woman consult her man before changing her hairstyle ? Cuts, colors, switching the side your hair parts or even the thought of a simple trim makes men cringe. Men don't have as much versatility or maintenance in dealing with their hair or even their clothes for that matter so we should not allow their opinions to interfere with trying a new hairstyle or how we feel about how we look. Not only do we worry about the men in our lives passing judgment on the styles we decide on, but we consciously and subconsciously look to the media to define what is beautiful, forgetting that one person's definition of beauty is not the same as the next person's. Particularly for women of color Eurocentric beauty aesthetics have been engraved into our minds as the guide for beauty. Long luscious hair, thin and pale facial features and petite frames have been the enemy of the reflection of women of color for many years. Looking at this video from a sociological stand point one can see that this is a prime display of white supremacy is the use of Eurocentrism as the standard of beauty. When whiteness is considered superior, white people are defined as more attractive, therefore as the appearance of people of other races stray from that standard, they are considered less attractive. Harsh, but there's truth in the statement. We'll go years without trims, walking around with damaged hair, or have our natural hair screaming for help under bundles of Malaysian, Peruvian and Brazilian tracks. Ladies. Make sure you take care of your crown before you decide to add more embellishments, because it is important to see and be satisfied with the original beauty you were born with so that embellishments with enhance, rather than mask the beauty. 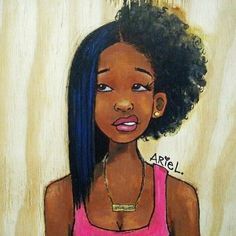 It's complicated situation because some days we can feel like "I am not my hair" like India Arie, and other days we can feel so frustrated with our hair and wonder "why doesn't my hair curl like so-and-so's," or "I wish my hair was longer or wasn't so boring." I'll let everyone in on a little secret. 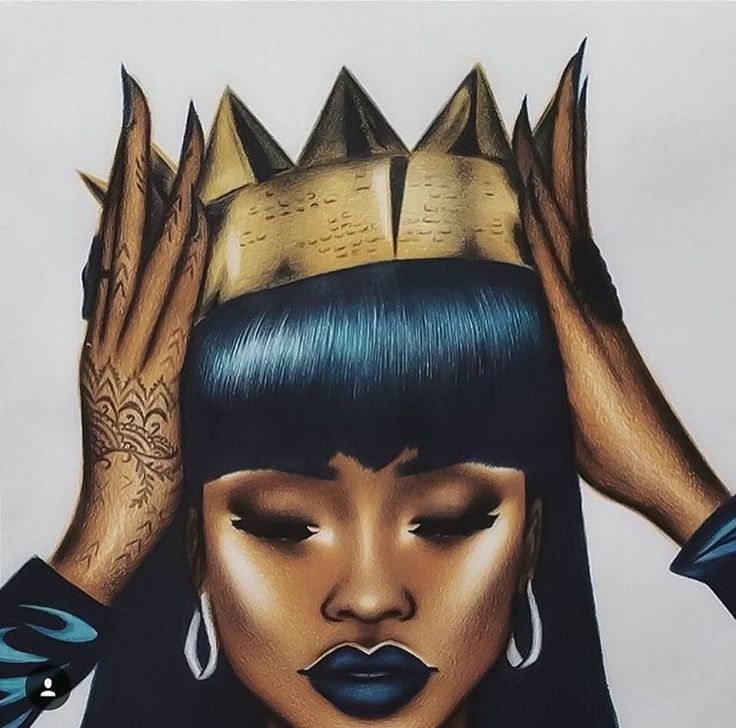 Every woman is a Queen and It's about finding balance, knowing that you're a Queen with or without your crown, regardless of the size or color or amount of diamonds in your crown. More importantly decorate your crown the way you want because it was made just for you. I like your hair better the other way.